Enjoy a mountain hike to see views of Lake Trahlyta in Vogel State Park - one of the first state parks in Georgia. 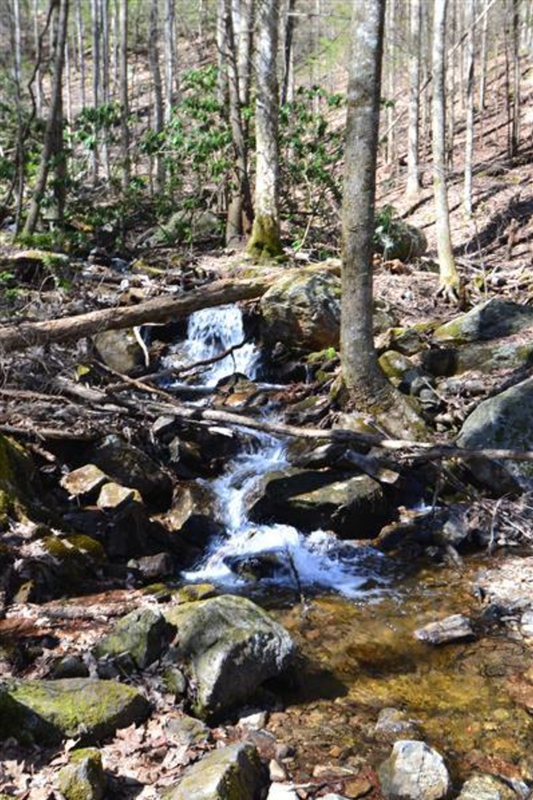 With elevations of more than 800 feet along mountainside streams, the Bear Hair Gap Trail takes you on a partial loop along lower parts of Blood Mountain. 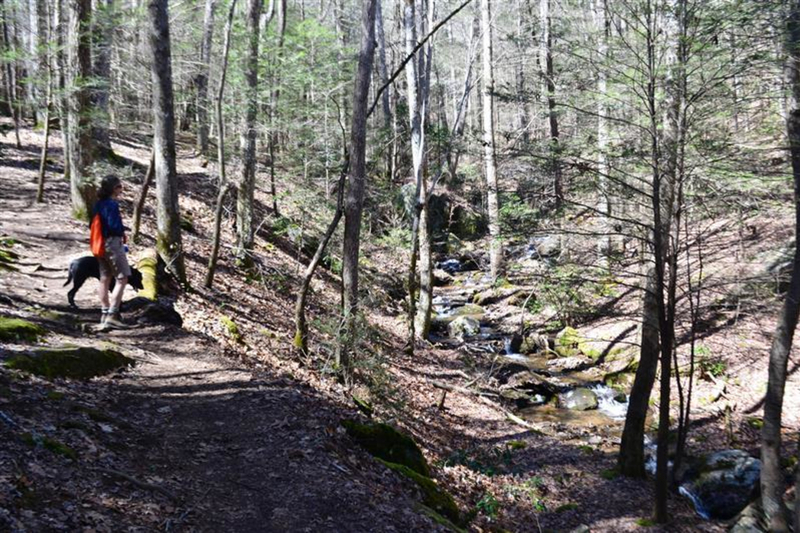 With more than 17 miles of trails, Vogel State Park offers a variety for hikers of all levels. 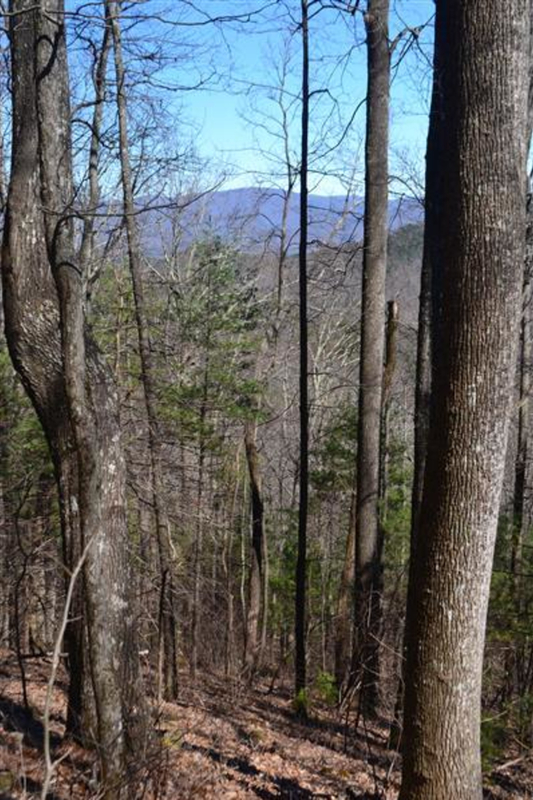 A favorite is the moderate, 4.8-mile Bear Hair Gap Trail with a birds-eye view of the park and Lake Trahlyta from 800 feet above. 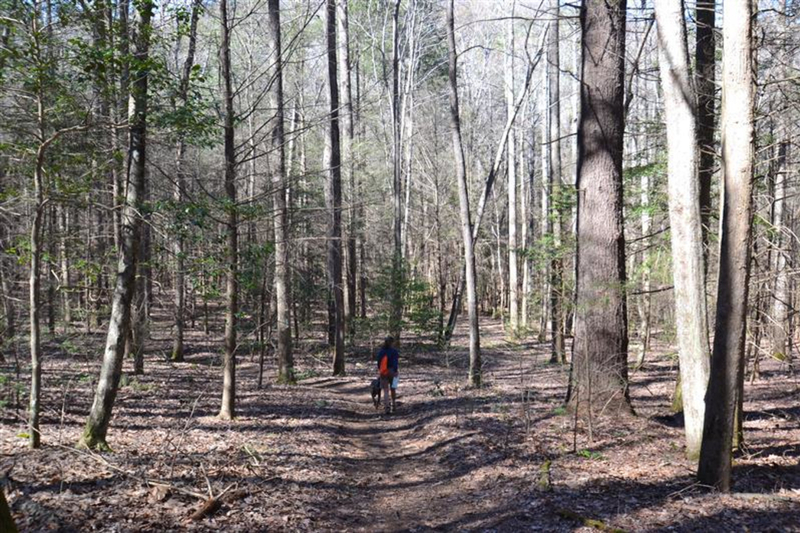 The adventurous hiker can try the 12.9-mile Coosa Backcountry Trail while children and less active people will enjoy the 0.8-mile Byron Reece Nature Trail or the 1-mile Lake Trahlyta Trail. Vogel is great all seasons. Hike in the winter to see incredible vistas through the bare trees or come during springtime when rhododendrons and wildflowers are blooming. Summer offers a getaway from the heat with the large tree canopy while fall boasts some of the best foliage in North Georgia. To access the Bear Hair Gap Trail, you’ll see the connector path next to Cabin #7. 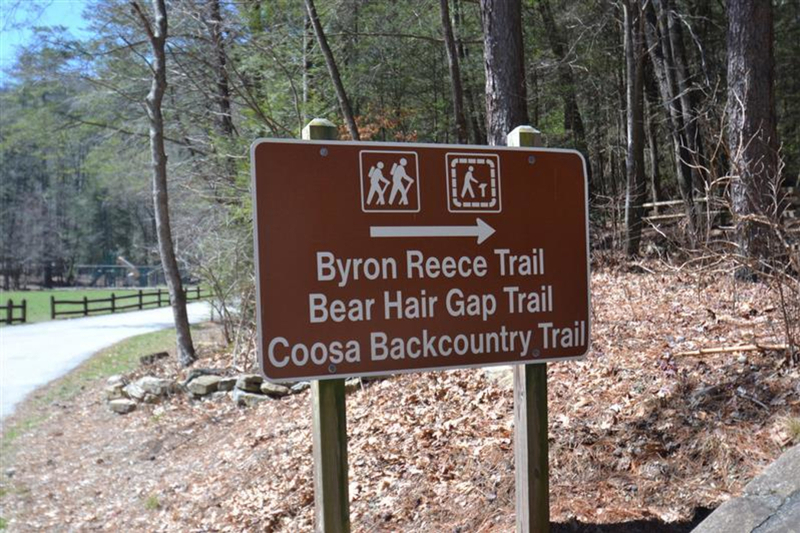 About 0.4 miles later, you’ll get to the trailhead with a sign will pointing to both the Bear Hair Gap and Coosa Backcountry trails to the right and Blood Mountain straight ahead. You’ll turn right (but will return coming from the Blood Mountain path). Soon, the two trails split and you’ll follow the green blazed trail, hiking a steady incline along Burnett Branch. 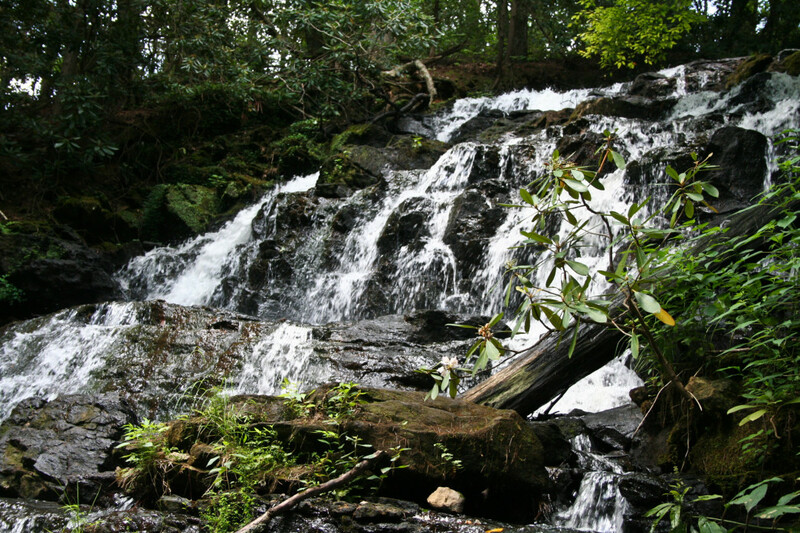 Feel the cool air hit your face and enjoy the calming rhythm of water flowing over the rocks on the creek nearby. During the second mile, the trail continues to climb, winding around a switchback and several shallow stream crossings. After hiking 1.5 miles from the trailhead, you’ll approach an unmarked split with green blazed trails in both directions. Veer left. This lollipop loop takes you to the Vogel Overlook with the best views of the entire hike. Don’t miss seeing Lake Trahlyta from this vantage point! Continuing on, the trail flattens out along a ridge until the sounds of rushing water alert you to Wolf Creek. After stepping on several rocks to cross it, turn left onto the Coosa Backcountry Trail for about another mile to finish the loop. The descent is fairly steep and rugged until you cross back over Wolf Creek across two logs. The remainder of the trail, which is rocky and rooted, takes you through a dense forest leading to the beginning split. This completes the 4.1-mile loop, but you’ll turn right to retrace the 0.4 miles on the connector path back to the entrance. Anyone looking for a moderate hike in the mountains will love the Bear Hair Gap Trail. Dogs will enjoy it too. Wear good hiking shoes because the trails get rugged toward the end of the loop. The trail is perfect for getting back into shape if you haven’t hiked in a while. 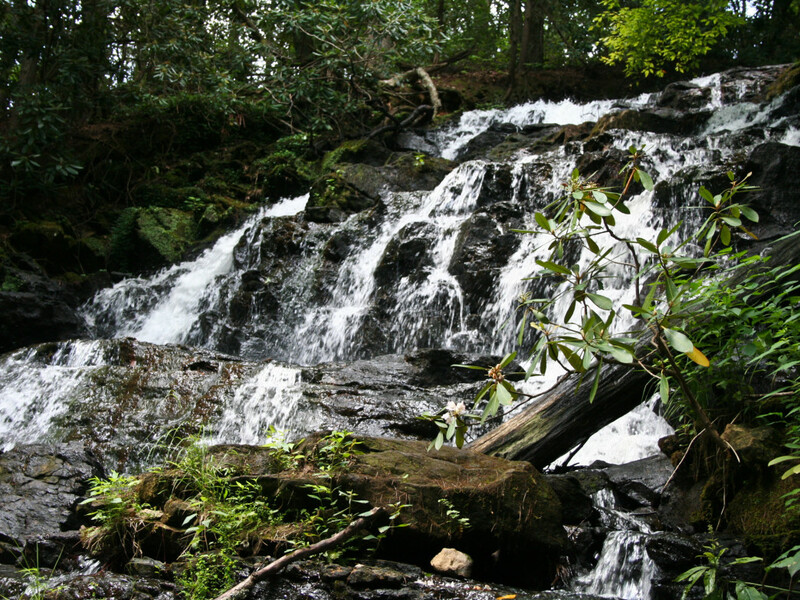 Vogel is located 24 miles north of Dahlonega. From there, follow U.S. Hwy. 19 and turn left at Turner’s Corner where it becomes U.S. Hwy. 19/129. Continue another 10 miles and the entrance is on the left. Parking is $5. Stop in at the visitor’s center to get a trail map, use restrooms and purchase any last minute supplies, including bug spray. Dogs are allowed on leashes. Other activities at Vogel include fishing, miniature golf, and swimming, as well as seasonal boat and bike rentals. The 233-acre park rents cottages and campsites for longer stays.